The year 1971 is the most special year for Bangladesh. It achieved independence after a very painful war against Pakistan which resulted in loss of 3 million lives including the best scholars and intellectuals. 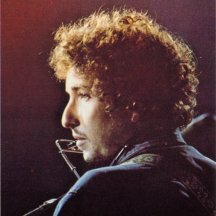 For writing this article for this website, I have searched almost every website that said anything about the Concert for Bangladesh and what I found is that almost all of them have assumed that the readers know about the background of the concert and the Liberation war of Bangladesh and due to their assumption they have hardly said anything about the background. In this article I like to focus more on this aspect so that you, the western readers, can get an idea of the reasons that led George Harrison to fight for the cause. When the British left their Indian colony then India was divided into countries- India and Pakistan. Pakistan had two wings and they were hundreds of miles away from each other. Bangladesh was known as the East Pakistan while the modern Pakistan was known as the West Pakistan. That time the Bengalis (of East Pakistan) were the majority forming the 56% of the entire population. On the other hand there were mainly 3-4 races in West Pakistan, the Punjabis forming the majority there. Since the history of Pakistan has been always dominated by the army and since it was the people of West Pakistan who had total control of the army they had the real power and they started all kinds of discriminations from the first day of Pakistan’s existence as an independent country. In 1952 massive unrest occurred in East Pakistan (now Bangladesh) over the question of national language. The West Pakistani leaders wanted to impose Urdu on the Bengalis despite the fact Bengali was the mother tongue of 56% of the total population of Pakistan. On 21 February 1952 many people sacrificed their lives to protect their language. And now, in order to show respect to their sacrifice, the United Nations officially observe this day (21 February) as the International Mother Language Day all over the world. And from 1956 Pakistan was cursed with military rule for a long time. In 1969 there was massive unrest in all parts of the country demanding democracy and the dictator, general Auyb Khan, had to step down. The new head of Army promised to return to democracy and general election was held towards the end of 1970. In that election, Awami League (a party based in East Pakistan) got a resounding majority in the national parliament. 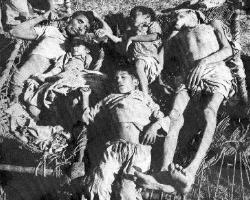 Unfortunately, the military and West Pakistani political leaders were reluctant to hand over power to Bengali leaders and the army started one of the worst genocides of world history on the night of 25 March. The people of Bangladesh started their liberation war and received warm support from India. 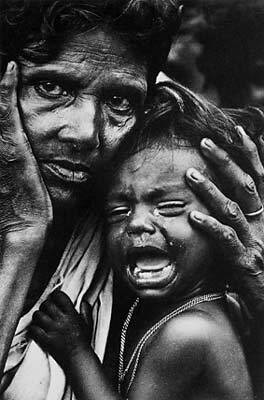 10 million people from Bangladesh took refuge in India. At that time, India was a close ally of Soviet Union while Pakistan was the closest friend of USA in South Asia. Thus the US Government remained silent about the genocide and tried to treat it as a civil war not as a liberation war. Naturally the other US allies remained passive about this matter too. However, the Bangladesh cause received wide support from the western media, the intellectuals, political leaders and the common people. 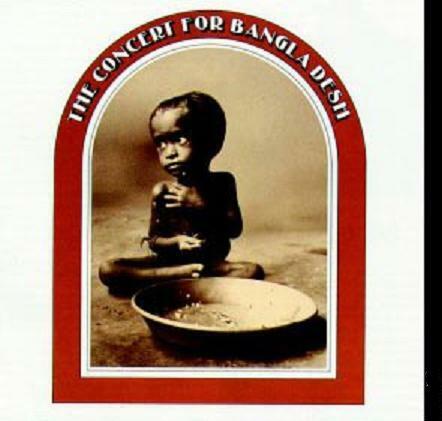 And George Harrison played a pivotal role in creating public awareness for this cause through ‘The Concert for Bangladesh’. In the previous article you have seen that George Harrison was related to the Indian culture a lot. The literature and culture of Bangladesh is strongly influenced by Hinduism, Budhism and Islam although around 85% of the population of Bangladesh is Muslims. And many great Bengalis had their origin in Bangladesh but later migrated to India after the creation of Pakistan. Pandit Ravi Shankar had close relationship to Bangladesh and he informed George Harrison about the Liberation War of Bangladesh and suggested that they try to do something for the Bangladeshi people. Thus the first concert for world humanity happened. Ravi Shamkar requested that they should try to raise $25,000 (25 Thousand) for the UNICEF fund to help the Bengali refuges who took shelter in India. After hearing the details about the loss of life and the liberation war of the common people then George Harrion stated that they must try to do something bigger than that. Thus the first concert for world humanity took place on 1 August 1971 at Madison Square Garden. Eric Clapton, Ringo Starr, Billy Preston, Leon Russell, and Bob Dylan- these great superstars took part in this concert. I have gone through the history of rock music and I must say that we cant find any concert before ‘Concert for Bangladesh’ that included so many great talents in one stage. The message of the lyric is simple but it bears a strong appeal for saving millions of desperate people. A closer look at the language of the lyrics shows that George Harrison only talked of the plight of the common people. He did not say a word about the Liberation War or did not try to justify the cause of the Bengalis. This makes the appeal more touching and takes away any chance of creating any controversy. Harrison’s effort to stage the first humanitarian concert was not only a unique effort but also a daring one too, because at that time the Washington Government and it allies supported Pakistan because of Cold War rivalry with Soviet Union. The Pakistani military regime used this support of the west to their advantage by carrying out propaganda that some terrorists with the support of India and the Soviet Union were trying to separate East Pakistan (Bangladesh) from Pakistan. Even they used their connections in the west so that the word, ‘Bangladesh’ may not be pronounced officially by anybody. Thus George Harrison took a risk to antagonize the Pakistani military regime and its supporters in the west. But for the cause of Bangladesh, it resulted into creating international attention about the miserable condition of the common people. We should not forget that in 1971 media was not so powerful like now. There was no Internet or no cable TV like now. So, George Harrison’s concert contributed immensely to make the international community aware about the liberation war of Bangladesh. After George Harrison died many persons in Bangladesh expressed their condolence. The Prime Minister, Begum Khaleda Zia and the leader of the opposition, Sheikh Hasina, sent their condolence officially. To the people of Bangladesh, George Harrison is a true friend who fought for them in their distress. George Harrison and Ravi Shankar's gift to the world and one of the first echoes of the sentiment that Rock'n'Roll had a heart and made a difference. The music is great but this concert also needs to be inhaled visually. The frail Eric Clapton with long hair, Bob Dylan and of course, George Harrison, himself among many others. A great concert all the way through rising up a notch every time you think that it can't get better. And there is perhaps no better end than the encore song which it turns out not surprisingly to be Harrison's "Bangladesh" written about the situation. Great, great show.